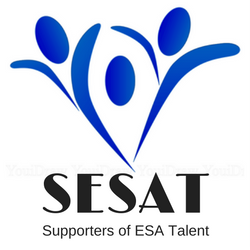 SESAT (Supporters of ESA Talent) is a registered charity that is run entirely by parent volunteers. Want to know more about SESAT ? This parent-run fundraising committee’s focus is clear – host events, sell things and solicit support that will generate funding for our six Arts Majors. With the support of parents, guardians, community members and partners, SESAT raises between $35,000 – $45,000 annually to support programs. In the 2017/2018 year, we ran several successful Fundraisers. At our Annual Craft Fair & Silent Auction, Snack Shack, our Third Annual Community Yard Sale and through refreshment & snack sales at more than 20 events we raised more than $72,000.00 for the six Arts Majors. Our initial plan for 2017/2018 was to redirect some of our focus to sourcing and securing grants and sponsors. To facilitate this change, we sought volunteers with grant writing experience but unfortunately did not secure folks in time to work on the grant applications. We will focus on this again in 2018/19. As part of our plan, we also decided to discontinue merchandising of ESA promotional materials for the year. If you are looking for SWAG, please check out what each Arts Major is working on. We are fortunate to have a group of more than 50 volunteers who come out throughout the school year at events to help out. During 2017/2018 year more than 50 per cent of them gave of their time ! Involvement levels are increasing and we are pleased that more Dads are coming out as well. There are many opportunities to help out and you can do this solo, with your student or other family members and most importantly you can do as much or as little as your schedule permits! We are happy to have you. As special projects come up, we will send out a request for volunteers via ESAINFO. If you are not already receiving the daily posts, sign up today! Find out more about the roles here. SESAT meetings are usually held on the first Monday of the month from 7:15 – 9:00 pm in the ESA library. HOW ARE WE DOING SO FAR THIS YEAR? Our Goal is to raise $75,000 this year. Let’s try to beat our goal!